After a summer off, I am finally back to writing. I dedicate this story to our friend Virginia Maxwell, who was taken from us far too soon. We love her and miss her. We walk along the jungle path, the greenery closing in around us. Birds call and insects buzz. Reaching a large, dark hole in the ground, we begin our descent into the longest and deepest lava tube in the world. The air is immediately cooler, dropping about 20 degrees to the low 60’s (Fahrenheit,) which makes me glad I have on a sweatshirt. As we slowly move away from the cave opening, the sunlight disappears. Only flashlights and headlamps penetrate the inky blackness. 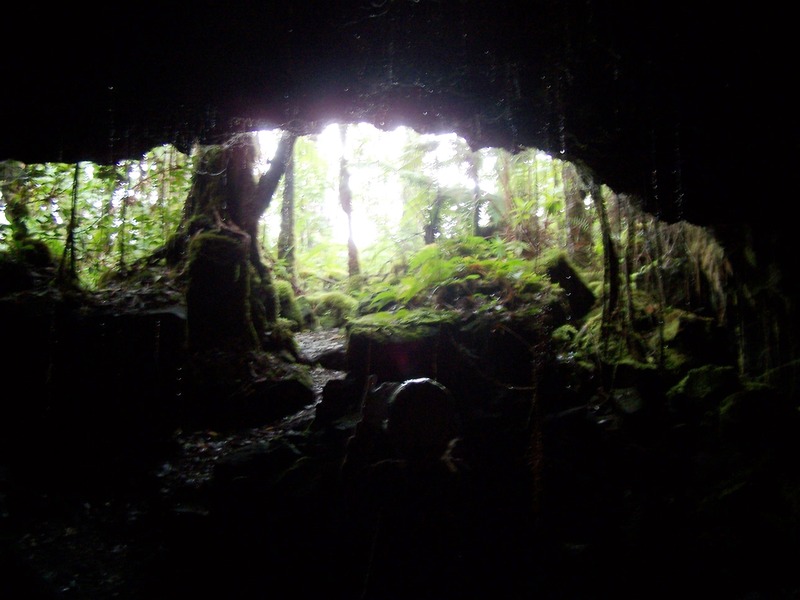 This is the Kazamura lava tube on the Big Island of Hawaii, and it is unlike any cave we have ever seen. Over the years, we have toured a lot of different kinds of caves. 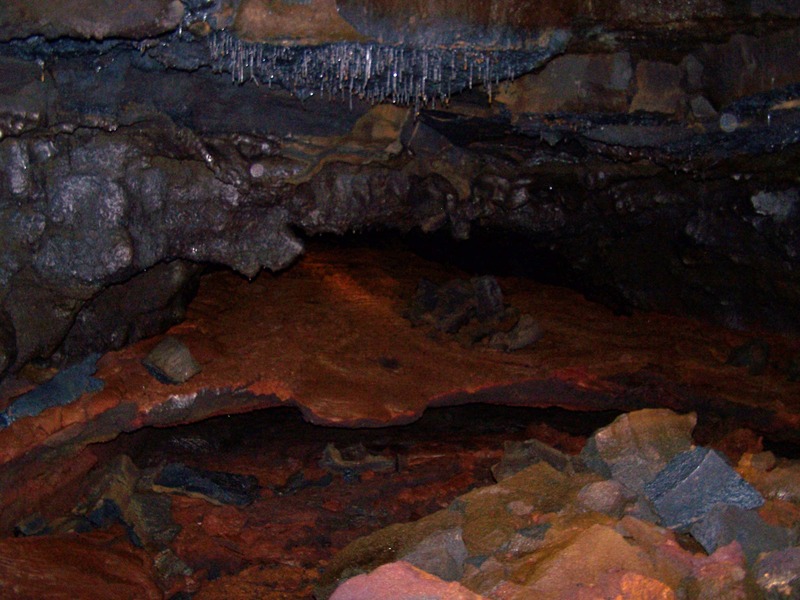 From Iceland to Tennessee, Puerto Rico to Texas, we have explored caves. We even went deep into a coal mine in Nova Scotia, which is basically a man-made cave. The Kazamura cave is different from them all. The stalactites and stalagmites were made from flowing lava, not water. That changes everything! 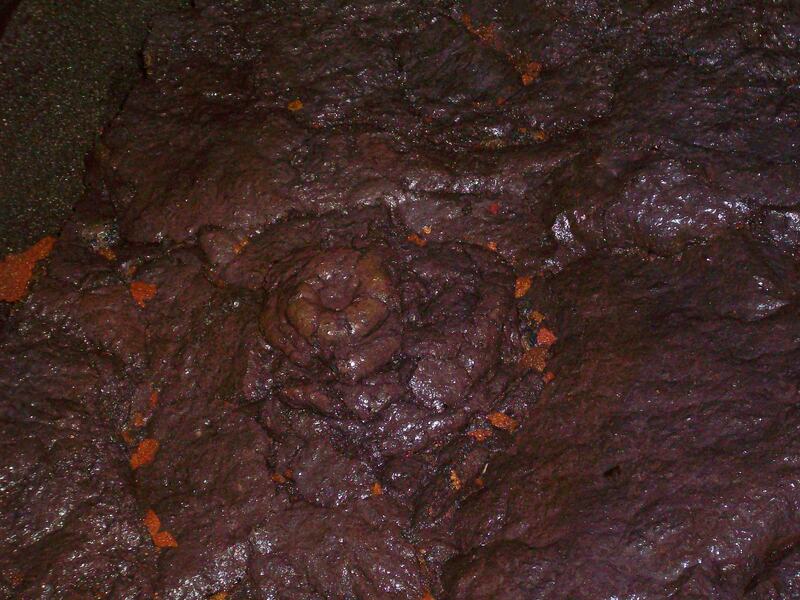 The cave rests beneath Kilauea Iki, which is still a very active volcano. An eruption 700 years ago started the slow process of creating the cave system. We see amazing sights as we walk through with our guide. There are “lava roses,” which are rare. 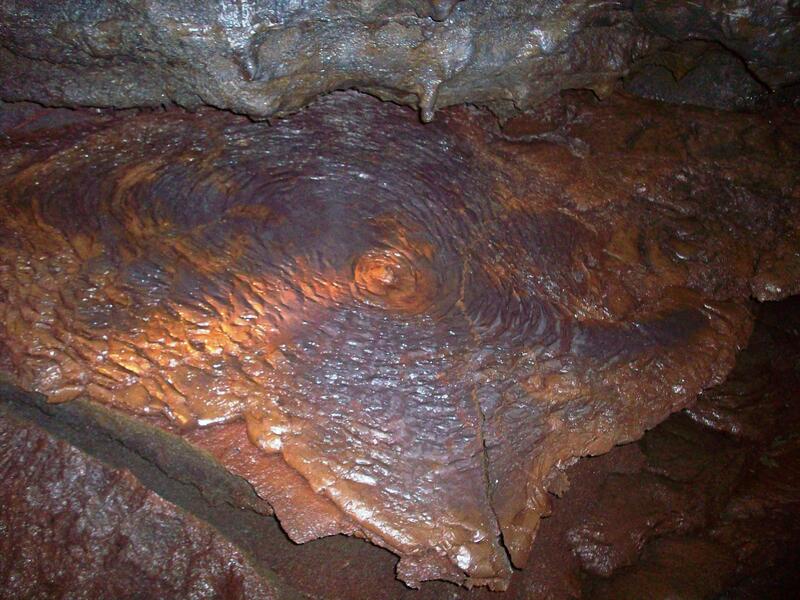 They are formed when lava from a tube below fills up and then oozes through a small opening in the floor. As it bubbles up it creates a rose-like shape. 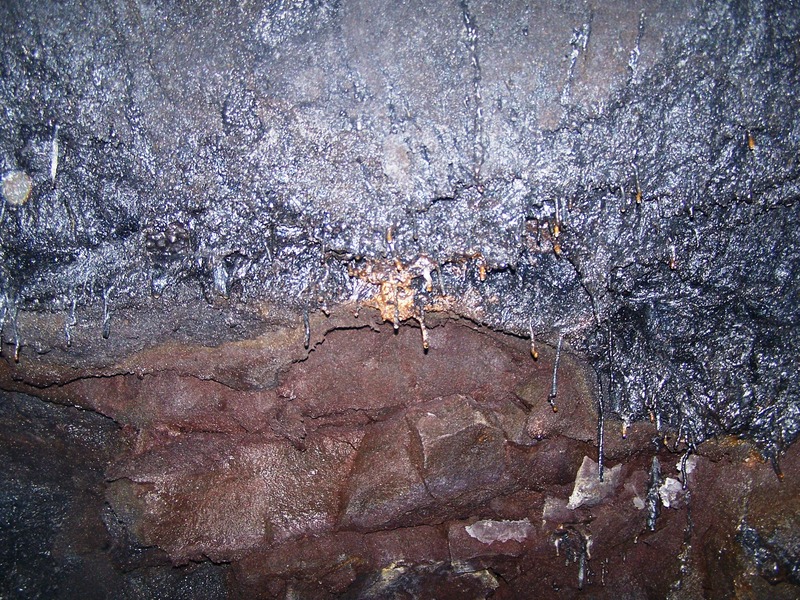 There are also lava straws that hang from the ceiling; lava ripples along the floor, where a rock fell into a pool of lava; and lavafalls along the walls. Many of the formations are chocolate brown in color and look almost shiny, which is caused by minerals and the way the lava cools. It’s all really beautiful and different. Our guide tells us that two creatures live here in the deep: an albino spider and an albino cricket. They feed on the minerals in the water. Of course, just after hearing about the bugs that could be surrounding us, our guide has us turn out our lights so that we can experience true darkness. That is always an amazing experience, leaving you a little breathless and profoundly glad that there are always back-up flashlights! Rachel, age 8, is beyond happy to have the lights back on. We end our tour back where we started; in the jungle. The air is warm and the sun is shining. It’s time to explore the volcano from the outside. 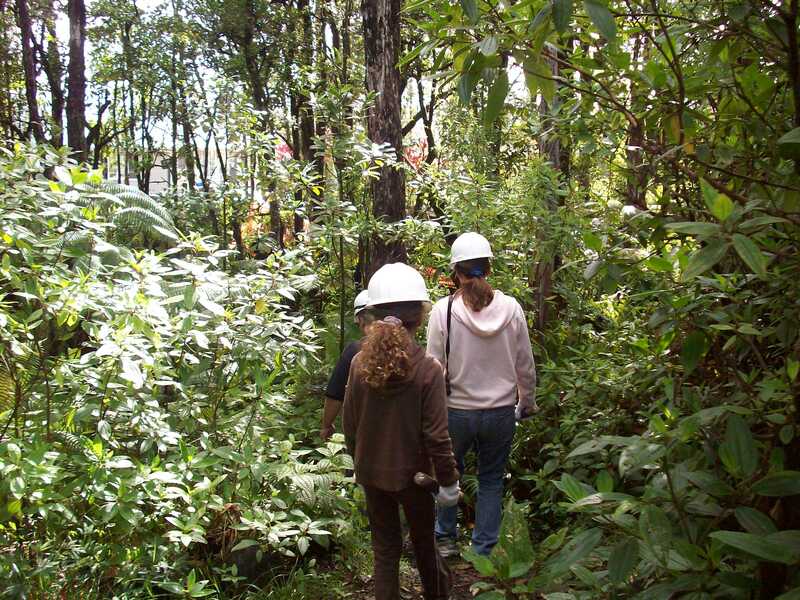 We are heading off to hike the Kilauea Iki trail into the big crater. Can’t wait! Courage Level: 2 The only issue is if you are seriously afraid of the dark or claustrophobic. If you are, caving may not be for you! Fitness Level: 1 This is an easy, one-hour tour. The guide will go at your speed. There were only the three of us on our tour, which was great. 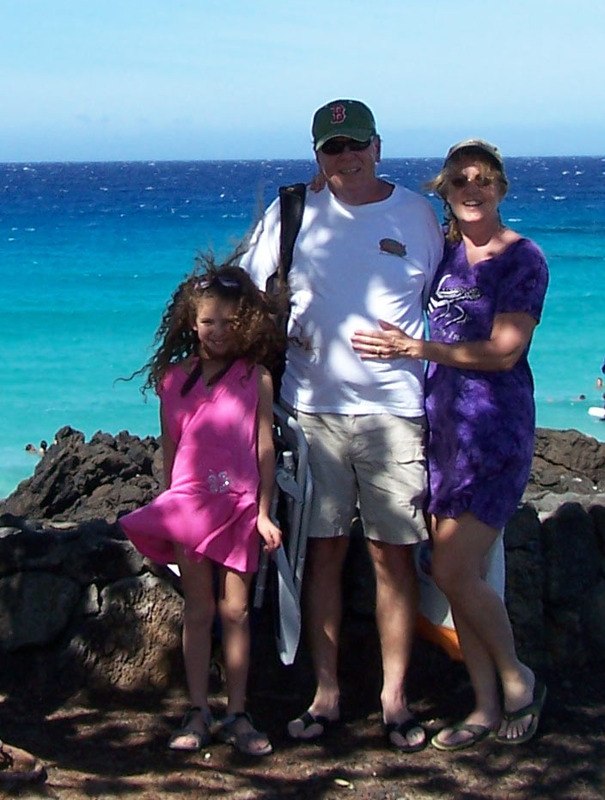 Tours are run by Kilauea Caverns of Fire http://www.kilaueacavernsoffire.com/ You have to call and make an appointment. We did the one hour tour, which is perfect for anyone with kids. Previous Previous post: How Much Can You Cram into a Day?